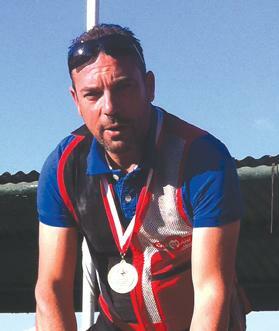 Nicky Carabott claimed the honours at the MSSF Trap event, held last Tuesday at the Malta Sport Shooting Federation ranges in Bidnija. The trap competition was over 50 clays with the top six shooters progressing to the semi-final and medal matches on another 15 clays. Stephen Vella led the field at the end of the qualifying round with 46 hits but missed out on a place in the gold medal match after smashing 11 clays in the semis, one fewer than Carabott and Paul Formosa who had qualified for the final stages with a total of 41. Carabott secured the title after edging Formosa 11-10 in the decisive match. Vella had to settle for third place after beating Nazzareno Attard 14-12. Sean Rizzo and Stephen Aquilina finished fifth and sixth, respectively. 1. Nicky Carabott 41/50-12/15-11/15; 2. Paul Formosa 41/50-12/15-10/15; 3. Stephen Vella 46/50-11/15+3-14/15; 4. Nazzareno Attard 41/50-11/15-12/15; 5. Sean Rizzo 43/50-11/15+2; 6. Stephen Aquilina 41/50-11/15+1.